Get ready to indulge in an over the top romance with a paranormal twist on some favorite tropes. Get married or you’re out of the will. Blackmail pure and simple, but Bryce doesn’t have much of a choice if he wants to remain Grandfather’s heir. With the old man on his deathbed, the clock is ticking, so he’d better get cracking because a supposed cousin has just shown up looking for a pint of the maple syrup business. I’ll gore him with my rack first! Lucky for Bryce, he sniffs out the perfect woman and makes her a deal. What he doesn’t expect is to lose his heart in the process. Loved this book! Sure to make you laugh!! Melanie is a down on her luck, lynx shifter that is taking care of her dying mother. Bryce's parents have both passed on and has been living with and work with his ailing grandfather for years. When Bryce's grandfather decides that it's past time for him to settle down and forces him to find a mate or he will not inherit their maple syrup business. 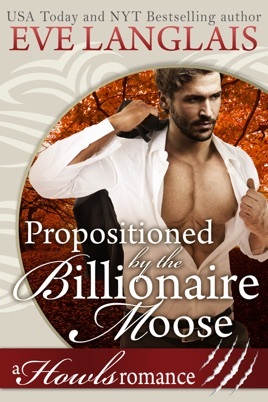 Bryce is also a shifter, a Moose. I'm a huge fan of this author, and I've read all of her books. This is a standalone read, the first book in the Howls Romance series. One consistent theme with this authors' books are that they are very humorous and enjoyable. I know that when I sit down with one of her books it will lighten and brighten my day. 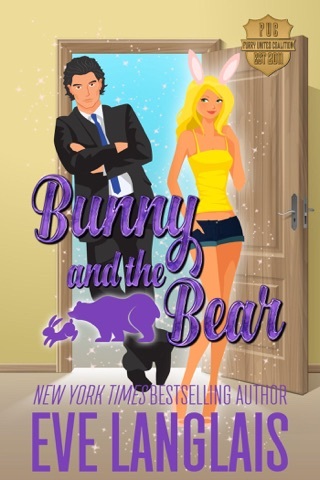 This book is funny, with a good dose of humor, some action, and a good dose of romance. The characters were fun and had great chemistry. It's a shorter book- about 150 pages, so I breezed through it in no time flat. I loved the book, the only thing I wish is that there were a little more about them after they get together at the end or an epilogue or something. Other then that, it was a great fun story! Hope this helps! Happy Reading!!! Another amazing hit! I love this author she never lets me down. This story tugged at my heart. One moment I’m balling and feeling so bad for heroine and the next I’m balling but from laughing! One of my favorite lines “ Do you compare rack sizes?” 😂. Sigh, I didn’t like rory but in the end I’m super intrigued! Ty for letting me read this books it was awesome! I loooove Eve Langlais writing I really do. But the frequent unexplained #’s really through me for a loop. The story had the makings of some of her classic awesome character and story lines but then it just kind of fell flat. None of the character inspired any emotion I didn’t love Bryce or hate Royce there just wasn’t enough there to make you want to root for any of the characters. I think this story as is, is a good beginning but it definitely needed to be flushed out more. I’ve been loving Eve’s curmudgeonly elders lately so maybe she could explore that! Also the butler was my favorite!